The Anglo-Saxons were the dominant people living in England from the mid-5th century AD until the Norman conquest in 1066. They spoke Germanic languages and are identified by Bede as the descendants of three powerful tribes. These were the Angles, Saxons, and Jutes. Their language, Anglo-Saxon or Old English, came from West Germanic dialects. It changed into Middle English from about the 11th century. 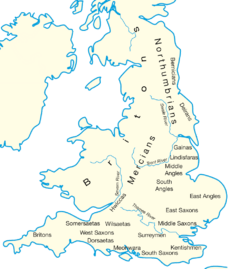 Old English was divided into four main dialects: West Saxon, Mercian, Northumbrian and Kentish. The Anglo-Saxons partially displaced the Celtic tribes which had lived in the British Isles before they came. They never conquered Wales but Anglo-Saxon kings did claim overlordship from time to time. Originally Anglo-Saxons came to Britain as warriors, but others came peacefully to become farmers. It is not known how many Anglo-Saxons actually came to Britain between the 4th and 6th century AD. Many sources say large numbers of Anglo-Saxon settlers arrived. The effect of this is not clear. Some Britons would have moved west, towards Wales. Others might have moved onto continental Europe. The language of the Anglo-Saxons, Old English, became the language of the English kingdoms. A few Celtic words were also part of the Anglo-Saxon language. 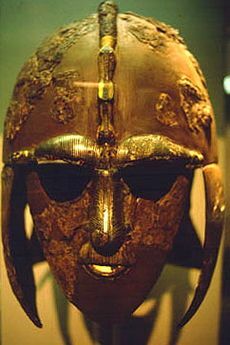 More recent archaeological and historical research suggests that most of the people of Anglo-Saxon England were Britons. 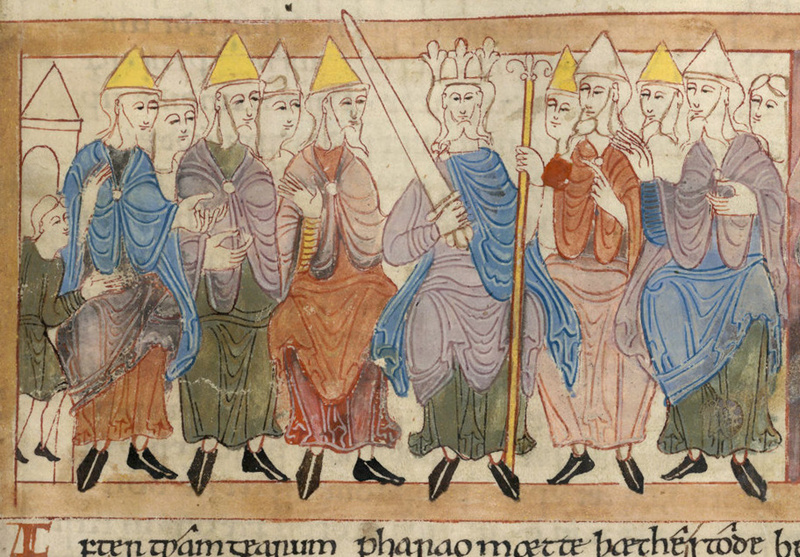 Instead of being driven off somewhere, the Anglo-Saxons merged with the Britons. The evidence of British names in Anglo-Saxon families and royalty support this theory. Migration may also have been more a function of the ruling class and the people living on the land were often not affected. It was Bede who identified the invaders as Angles, Saxons and Jutes. But he sometimes used the names Angli and Saxones for the same people in different parts of his writings. In Book I, Chapter 15 he said that by invitation of King Vortigern "Angles or Saxons" came to Britain in three longships. Modern authorities confirm that Angles, Saxons, Frisians and some Jutes did come to England during this migration time period. The differences in England between tribes of Angles and Saxons was not significant. Kent was different in culture than other parts of England and was home to Jutes. But Kent had later contact with the regions they had come from in Europe and that could explain some of the differences. 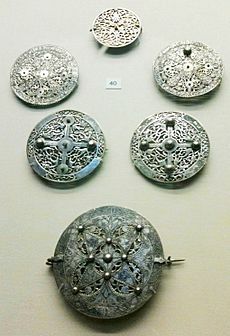 Certain styles of jewellery are recognized by archaeologists as being typical of Anglian, Saxon and Jutish areas in Northern Europe. But why the name England came to be used for the country and English for the language is not clear. In Old English the people call themselves Engle. In Latin it was Angli. Nothing suggests the Angles made up a larger percentage of the Germanic peoples. The name Englaland, which became 'England' was regularly used by the 11th century. The native British people, who wrote in both Latin and Welsh (a Celtic language), referred to these invaders as Saxones or Saeson. The latter name is still used today in the Welsh word for English people, Saeson,, the English language, Saesneg, and things related to England, Seisnig. In the Scottish Gaelic language The word for English people is saesonach and in Irish the word is Sasanach. 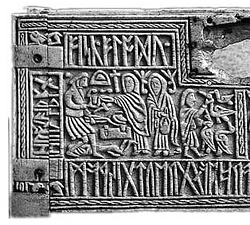 Anglo-Saxon art before the time of Alfred (ruled 871–899) is a mixture of Anglo-Saxon and Celtic techniques and styles. The Sutton Hoo treasure is an excellent example of very early Anglo-Saxon metalwork and jewellery. It came from a royal grave of the early 7th century. 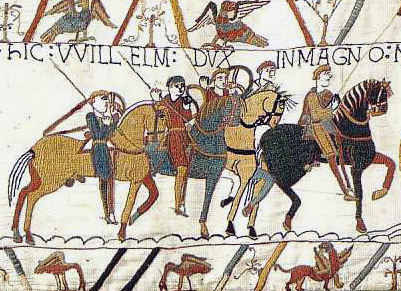 The period between Alfred and the Norman Conquest saw a distinct Anglo-Saxon style in art. This was due in part to the revival of the English economy and culture after the end of the Viking raids. This later style appears to have been in touch with trends in western Europe. 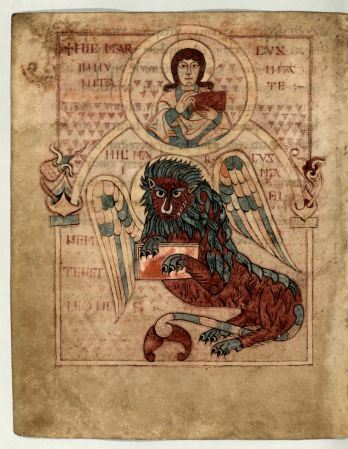 Anglo-Saxon art is mainly known today through illuminated manuscripts. Manuscripts were not the only Anglo-Saxon art form, but they have survived in much greater numbers than other types of objects. 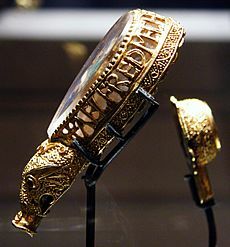 People in Europe at the time regarded Anglo-Saxon goldsmithing and embroidery as especially fine. 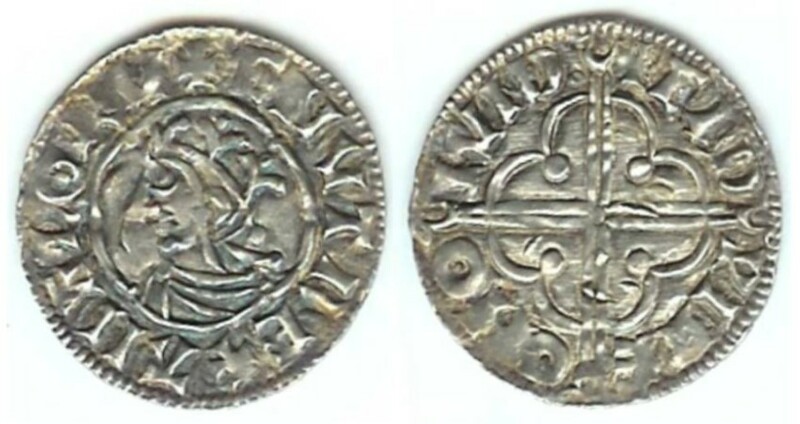 The most common example of Anglo-Saxon art is their coins. Anglo-Saxon artists also worked in fresco, ivory, stone carving, metalwork and enamel, but few of these pieces have survived. Old English literary works include epic poetry, biography, sermons, Bible translations, legal works, chronicles, riddles and others. In all there are about 400 surviving manuscripts from the period. A very famous work from this period is the poem Beowulf. It has achieved national epic status in Britain. The Anglo-Saxon Chronicle is a collection of important early English history. 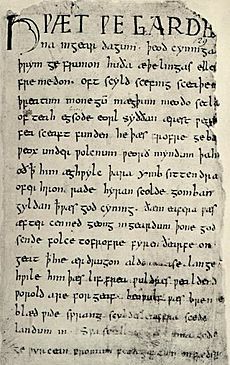 Cædmon's Hymn from the 7th century is the earliest attested literary text in (Old) English. One of the most valuable and important sources on Anglo-Saxon history is Bede's Ecclesiastical History of the English Nation. Anglo-Saxon-Viking Coin weight. Material is lead and weighs approx 36 g. Embedded with a sceat dating to 720-750 AD and minted in Kent. It is edged in dotted triangle pattern. Origin is the Danelaw region and dates late 8th to 9th century. Anglo-Saxons Facts for Kids. Kiddle Encyclopedia.